Experience the rich ringing 12-string sound with the Ozark 3806 12 string guitar. With a solid cedar top and laminated koa back and sides, this instrument delivers plenty of volume and clear projection, great for rhythm guitar and accompaniment. This is a great value guitar with attractive appearance, featuring a smooth ovangkol fingerboard, bridge and mahogany neck as well as chrome diecast machine heads. 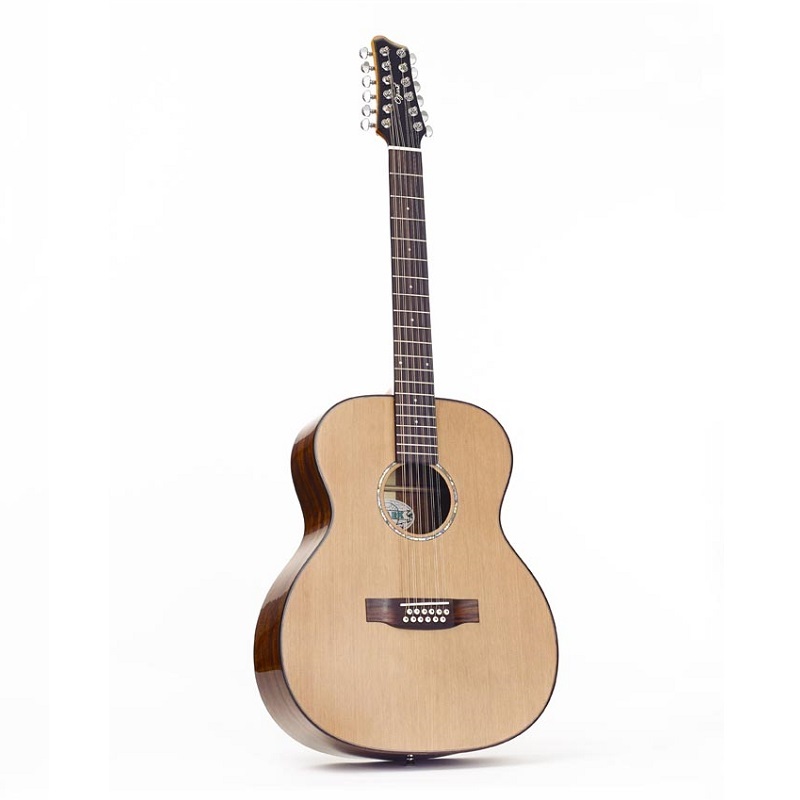 Its solid cedar top is enhanced by wood binding on the body with an abalone soundhole rosette. Its superior looks are finished by the fitting of chrome diecast machine heads with pearloid buttons. Produced in a small factory workshop using traditional acoustic guitar construction methods, the Ozark 12 string guitar is a light, beautifully balanced guitar with good volume and wonder tonal characteristics, which demands to be played.